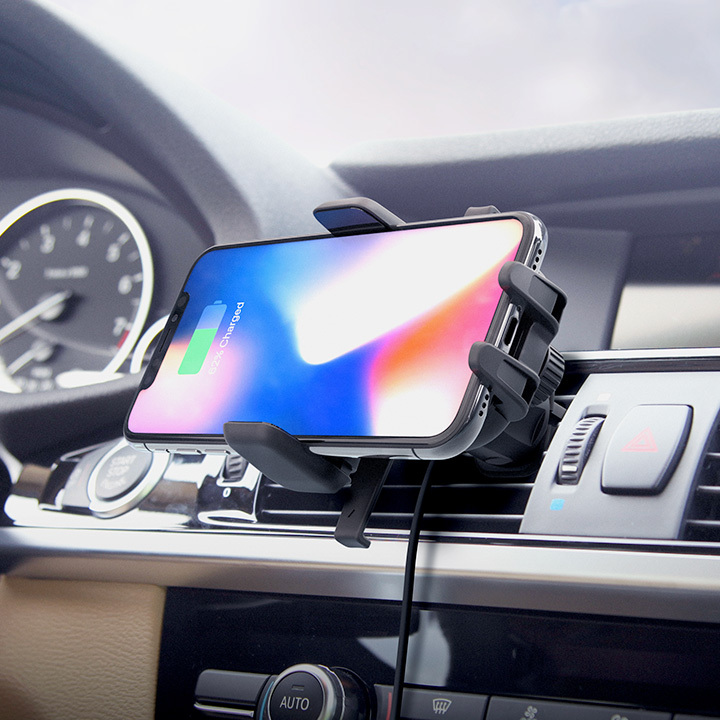 The Easy One Touch Wireless fast car charger air vent phone holder is powerful and sleek mounting solution designed for your vehicle’s air vents. 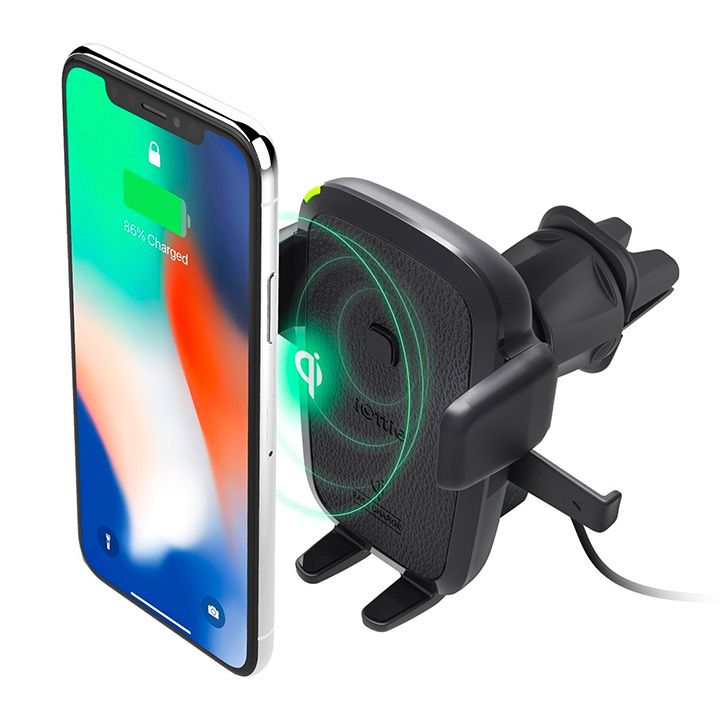 Charge your smartphone wirelessly with the convenience of Qi Wireless Fast Charging technology by simply placing the device into the air vent phone holder cradle until a charging connection is found. The Easy One Touch feature enables you to mount or retrieve your phone with one hand motion for quicker access to your device. To install the phone mount to your car's air vent, loosen the Twist lock, push the clip onto the air vent blade, and tighten the twist lock to secure. 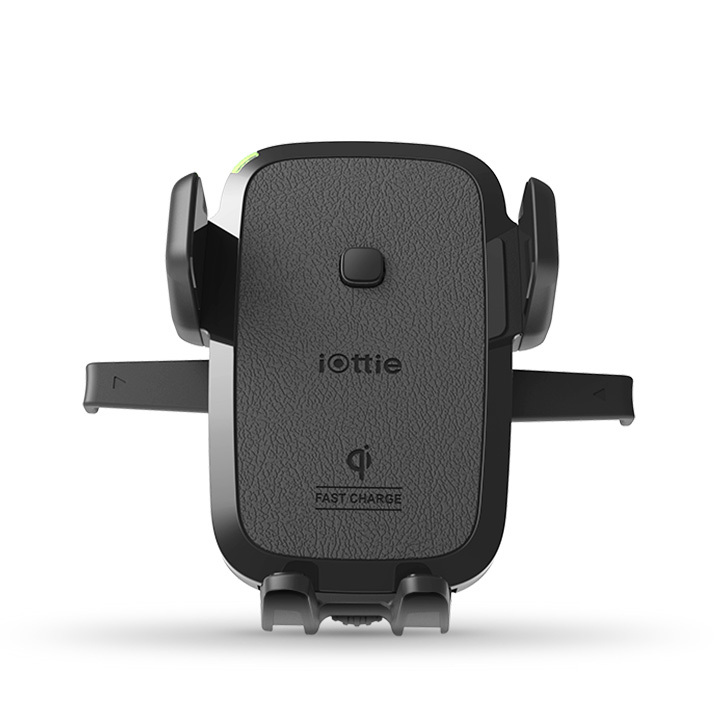 The iOttie Easy One Touch Wireless fast car charger air vent phone holder is compatible with all Qi-enabled smartphones for safer driving on the road. The air vent phone holder features Qi Wireless Fast Charging technology to charge smartphones 40% faster than a standard wireless charger. This wireless charger feature is activated when a Qi-compatible smartphone makes direct contact with the vent phone holder. 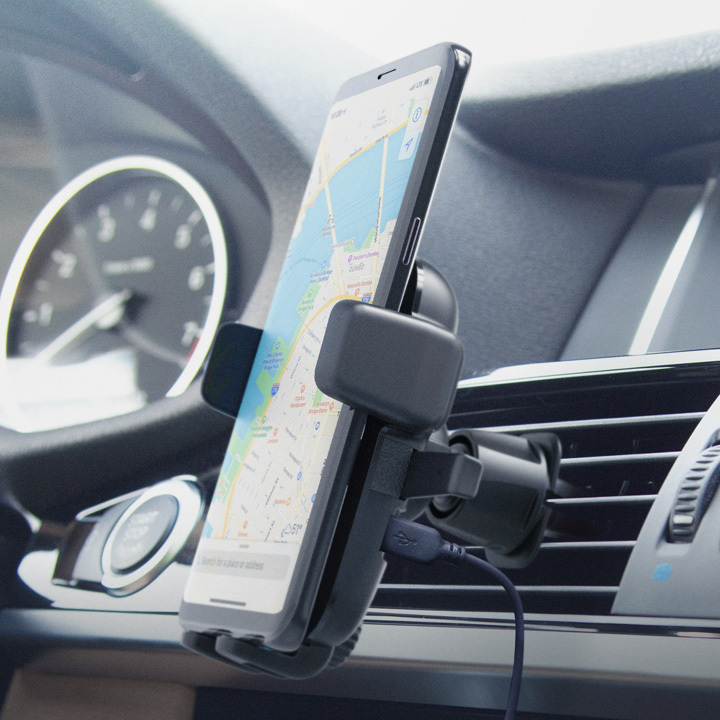 The car vent phone holder’s Easy One Touch mechanism gives you the freedom to mount or remove your smartphone in seconds. To engage, press the locking side arms and place the device against the trigger button. 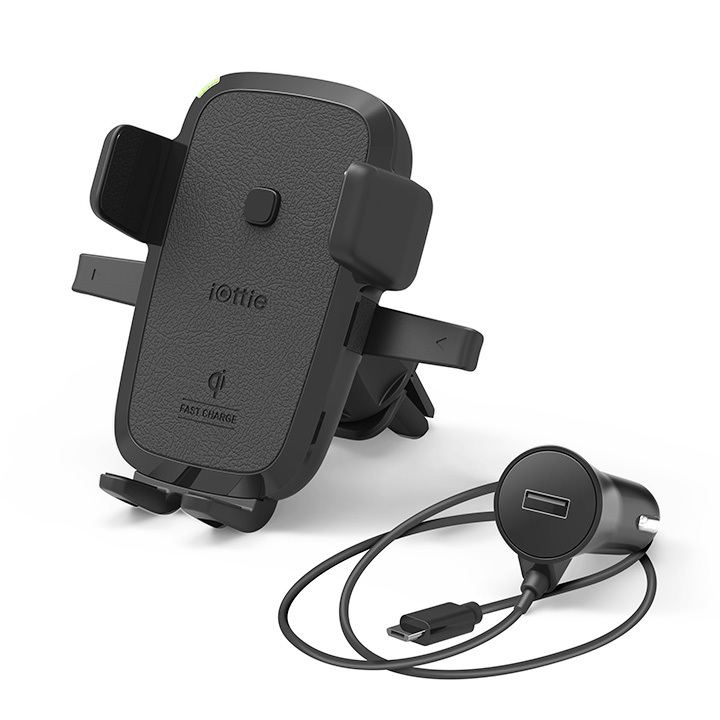 The Arms will automatically close and wireless charging begins on contact to safely hold and charge your device while you drive. To install the phone holder for your car’s air vent, loosen the Twist Lock, and push the clip it onto the air vent blade to tighten securely. 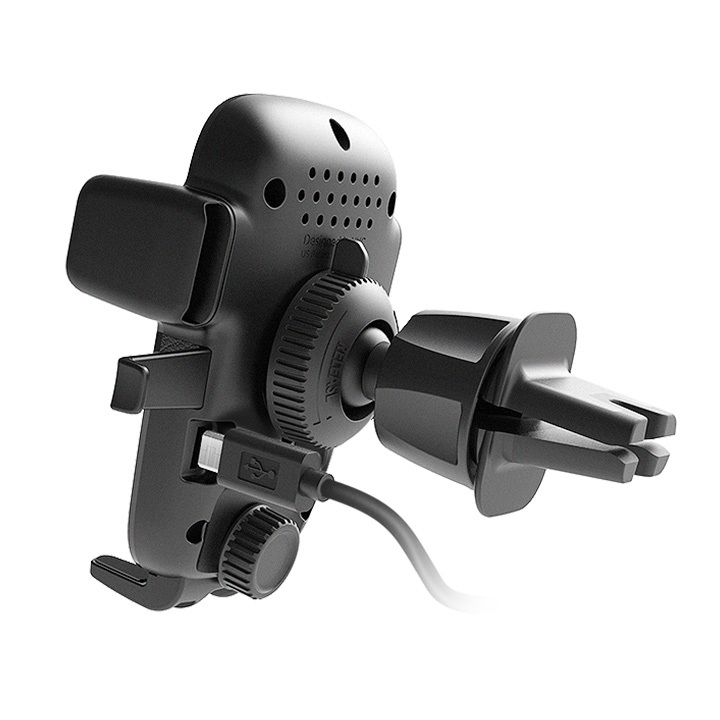 Once installed, you can adjust the vent phone holder’s angle for a safer driving experience. The Easy One Touch Wireless fast car charger mount is compatible with iPhone, Samsung, and all other Qi Wireless compatible devices. Before using the product, make sure your device is Qi Wireless compatible. Compatible devices include iPhone: X, 8, 8 Plus, Samsung Galaxy: S9, S9+, Note 9, 8, S8, S8+, S7, S7 Edge, Note 5, S6, S6 Edge, LG G6, and any other Qi-enabled devices. Please note that not all smartphones can receive a wireless fast charge, however, they will still receive a standard wireless charge. Check your phone's charging features for wireless fast charge capabilities.